I was known in high school for wearing shorts. While we don’t get snow, Bay Area winters are not taken lightly, but I wore shorts year round. I remember one day in sixth grade, my band teacher Mr. Tatum noticed that I was wearing shorts late in November and looked at the class and asked, “Do you think Matt can wear shorts for the entire year?” My parents still had a slight say in my wardrobe at the time, and I was forced to wear long pants for a couple months during the winter of sixth grade. I wore long pants one day in seventh grade, realized the error of my ways, and went back to shorts the next day. Eighth grade was the only year I made it to school every day. Why shorts, you ask? For one, there’s freedom. If it gets too warm, shorts are cool. If it rains, you don’t have to deal with wet pants around your ankles. They’re comfortable. For a long time I’ve felt I might be more endothermic than my peers; that my body puts off a lot of heat, and best not to trap it. More than the freedom or the comfort, I think I’ve always been a little more at home in myself when I can don a pair of shorts. A little more laid-back, a little more casual. So fast forward 15 years, and it turns out living in a tropical climate suits me well. Shorts or a lavalava every day? Sweet. It’s been 7 straight months without long pants. But in 6 days I’m heading to New Zealand for a week and a half, which I’m told is comparable to Seattle… Yikes. When my parents came to visit last week, they brought me a pair of jeans and a good jacket to wear while I’m there. 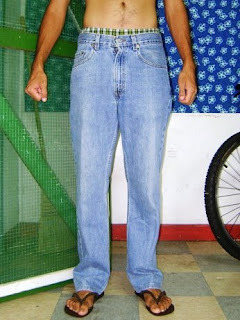 But the more I thought about it, the more I felt like another pair of jeans wouldn’t hurt. And maybe even a sweatshirt. So this morning I set out to one of the thrift stores in town, Mr. Lavalava. Perhaps it’s because I haven’t been to a thrift store in the United States in a long time, but I find the clothing at Mr. Lavalava to be of a much higher quality, garment for garment, than the clothes offered at thrift stores in The States. Many of the clothes are from The States (San Francisco running events; Martinez, CA Commercial Food Union; Los Angeles Dodgers; etc. ), but I think Mr. Lavalava is part of a larger chain of thrift stores in New Zealand. Incidentally (Ironically? ), Mr. Lavalava does not sell lavalavas. 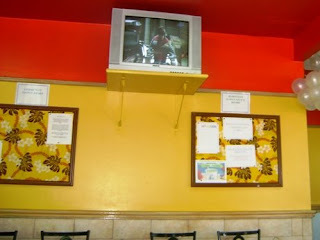 Also, pop reggae artist Shaggy does their commercials. Shopping for warm clothes on an island in the South Pacific feels wrong. It helped that today’s weather was darkly overcast with patchy rain. But even with nasty weather, it’s difficult to remember that sweatshirts are useful in other places. It’s also the kind of deal where shopping for warm clothes puts you in a different category than most of the other shoppers in the store. Though many people were milling around the store looking at t-shirts and polos and button downs and dresses, there were only 3 of us looking through the jackets, sweatshirts, jeans. It was a situation that bred instant camaraderie. It was me, a mom, and her daughter, which was lucky since none of us was looking for the same size or gender of clothing. The daughter, who had clearly lived in Samoa for most of her life, looked a little baffled trying on a track jacket. The look on her face was one of a baseball umpire trying to ref a soccer game. Does this fit? Does it feel comfortable? Does this piece of clothing work? Hell if she knew. In the end, I left with a pair of Levi’s and a hoodie, which cost a total of $12 WST, or approximately $4 US. Good deal. Seki a.
I hope you’re bundling up. Pictures below. Difficult to tell from this picture, but clouds were ominous today. this is the border of the one part of the sky that looked friendly, and it was almost like you could draw a line at the point it got dark. Back to the Future 2 playing at McDonald's. Awesome. A Christian Blues band was playing outside Citimart. 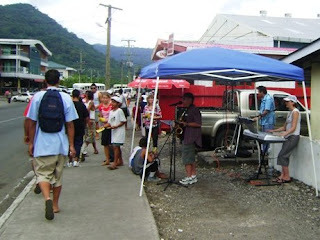 Not sure what Jesus has to do with Jazz, but it was definitely a musical sound you don't hear in Samoa too often. Luisa's parents sent me a bug zapper. 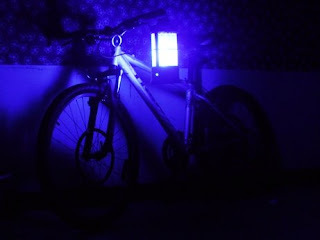 Lacking a better place, I hung it from the handlebars of my bike and listened to it work it's magic. It's wonderful. 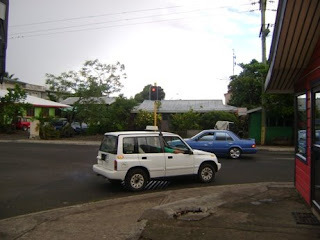 You must be the first pcv, to buy warm clothing and from thrift store in samoa like ever. omg you brought up Mr. Tatum! i cannot think of the word diaphragm without thinking of him. the man taught me how to fill my belly with air in order to play the flute, and nearly 15 years later, it was totally the opposite of what i was supposed to be doing in pilates. It's so hard to break early learned breathing. hope you stay warm in NZ!